Disputes between Guinea Bissau and Fello Finalists Zimbabwe – Kenyatta University TV (KUTV). All Rights Reserved. Players from African Nations Cup debutants Guinea Bissau and fellow finalists Zimbabwe have been involved in disputes over money with their federations just days before they are due to head to the tournament in Gabon. Guinea Bissau players met the country’s president Jose Mario Vaz in an effort to solve their impasse after bonus money they were promised for qualifying was not paid, the Portuguese news agency Lusa reported on Sunday. Meanwhile, Zimbabwe’s players stood up the country’s acting president Emmerson Mnangagwa by refusing to attend a send-off dinner in a bid to get a higher tournament appearance fee. The players wanted $5,000 (Ksh518,999.53) per game but had been offered half that amount. The dinner went ahead on Friday without the squad and agreement has since been reached to share the proceeds from the tournament between the players and Zimbabwe’s football association, local media reported on Sunday. Three Guinea Bissau players, representing the team from the former Portuguese colony, had talks with President Vaz though it was not clear if they had received any of the promised payments. 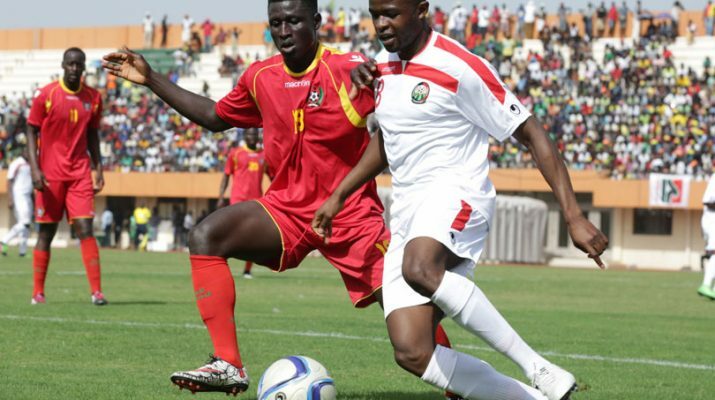 Guinea Bissau’s government had also promised to pay for tournament preparations but the team have not played any warm-up friendlies or travelled outside the country for a promised training camp. The squad’s departure on Wednesday for Gabon, where they are due to play in the Nations Cup opening game against the hosts in Libreville on Saturday, was also in doubt, Lusa reported. The biennial Nations Cup involves 16 countries playing at four venues across Gabon, the oil-rich central African country.